Like moths to a flame, and magpies to anything slightly shiny, we’ve been gushing over the fun motorized camera atop of the new Oppo Find X smartphone. When you see it in action it’s easy to understand why: It’s unique, quirky, and mesmerizing. Except all the while we’ve been ohh-ing and ahh-ing over it, Oppo slid a far more exciting piece of actual technology in during the launch event. It’s called Super VOOC, a new fast battery charging technology, and it’s exactly what we’ve been crying out for. How quick? Lamborghini quick. From zero to 100 percent in 35 minutes. We want it, now. Except, it’s not going to be cheap to get, and Oppo hasn’t been exactly forthcoming with details on it either. Is this a cause for concern? We haven’t seen much advancement in battery and charging tech recently, so we know it’s tough. We really don’t want to, but should we prepare for disappointment? What’s VOOC, and who is Oppo? The Find X made a splash, but some of you may not have heard of Oppo before, let alone VOOC charge technology. Allow me to introduce you. 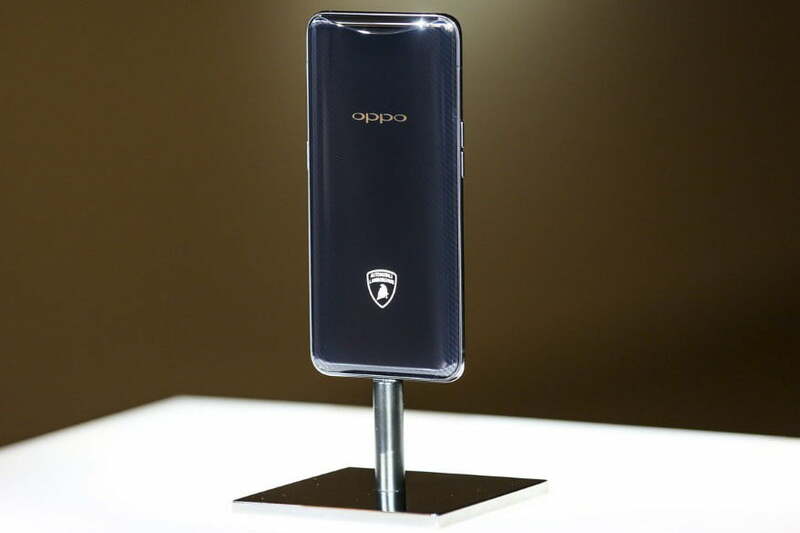 Oppo is a Chinese smartphone brand that built its first phone in 2008, and has rocketed up to capture second place in the Chinese market, according to Counterpoint Research, and fourth in the world since then. It sells phones in 30 different countries and regions around the world, with a user base of more than 200 million. It’s known for its dedication to cameras — particularly selfie cams — and for often unusual design choices. Super VOOC charging is not part of the regular Find X; right now it’s only in the $2000 Lamborghini edition. VOOC is the name for its proprietary fast charging technology, and it’s found on several Oppo phones already. It charges a battery to 75 percent capacity in 30 minutes, according to the company. We’ve seen it in action, and can verify it’s very fast, with the actual charging times varying depending on the size of the cell. Alongside OnePlus’s Dash Charge, it’s one of the best fast charging systems available. Super VOOC is stage two, a new battery charging technology that’s fitted to the Lamborghini special edition of the Find X. If there’s one thing that’s constantly repeated when a new phone comes out, it’s that people want longer-lasting batteries, but without the design drawbacks that come with larger cells. Faster charging technology solves this problem while the race continues to build a better battery cell, and Super VOOC is about the fastest we’ve heard of yet. Oppo’s an established brand with the engineering ability to make Super VOOC a reality, so why are we feeling trepidatious? There are four reasons our excitement over Super VOOC was initially dampened. 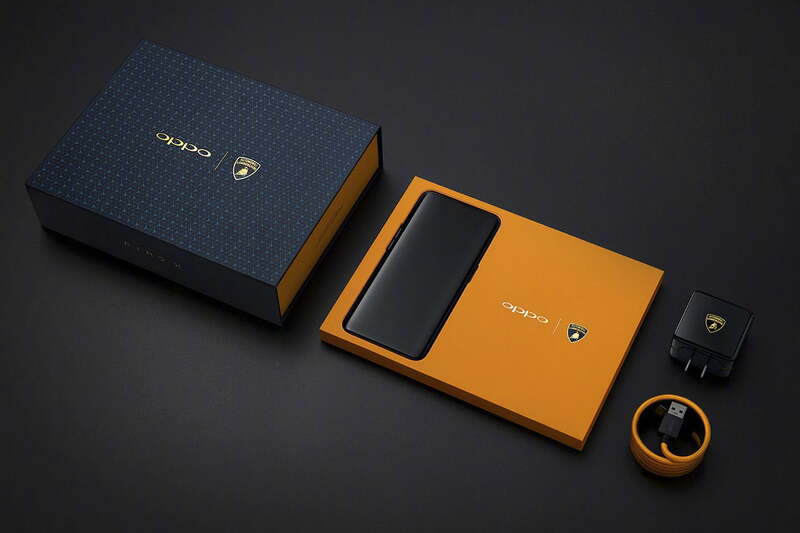 First, Super VOOC charging is not part of the regular Find X and only in the Lamborghini edition, which will cost 1700 euros, or about $2,000. That’s issue one — it’s astonishingly expensive. Secondly the Lamborghini phone doesn’t have a release date, and the only one we’ve seen was hidden behind glass at the Find X launch event. Eek. Issue three is related to this. We haven’t seen the Find X Lamborghini special edition being charged in super fast time, so it’s tough to verify it works as it should. Leading on from this, has Super VOOC got slower since we saw it at MWC 2016, when it could apparently recharge a 2,500mAh battery in 15 minutes? The Find X has a 3,730mAh battery inside, and will take 35 minutes to charge. Using some complex mathematical equations, we estimate that it should be able to recharge a 5,000mAh battery in 30 minutes. Super VOOC seems to be a little less super than it was two years ago. Has Oppo struggled to perfect the technology that we welcome with open arms? No-one likes a tease that doesn’t follow through. After all, it was a working prototype shown in early 2016, and at the time Oppo hoped to have Super VOOC in a phone before the end of that year. Here we are more than two years later, yet still it remains tantalizingly out of reach. Surely we’re not getting worked up over nothing? To make sure, we asked Oppo’s International Public Relations Manager, Alex MacGregor, about the technology behind Super VOOC. Charging quickly means more heat, and potentially more room for problems, right? 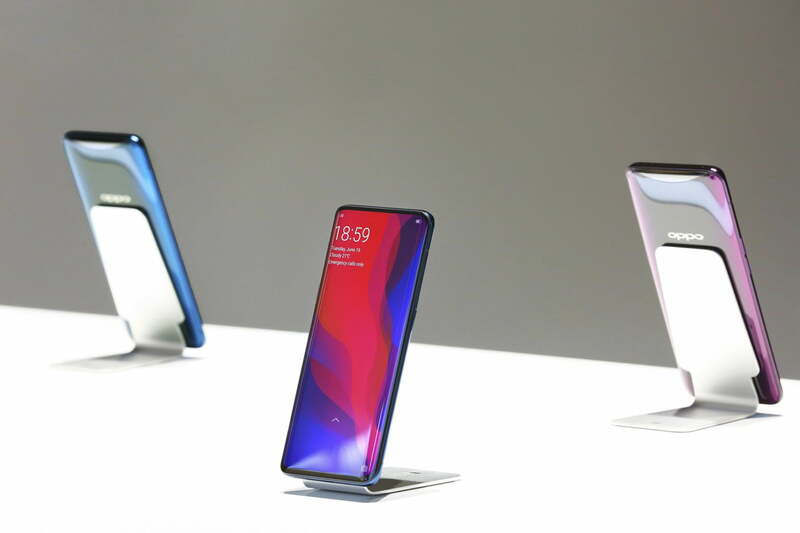 “This technology has many safety advantages in comparison to traditional VOOC, with five protection features including low temperature and low voltage, ensuring a fast and safe charge,” he said. Okay, that sounds great. But what about the slower speed? MacGregor said, “The charging volume of the Find X’s battery is much bigger than the one shown at MWC,” meaning my math was to blame, rather than the technology. It’s all great news; but why are we waiting? The trouble is, we’re used to disappointment with batteries and charging. Look at Apple’s AirPower wireless charging mat, which has been delayed for a year since its announcement. When Apple, a company with some disposable income in its pocket, can’t crack batteries and charging to its liking, you’ve got trouble. How’s that for confidence? 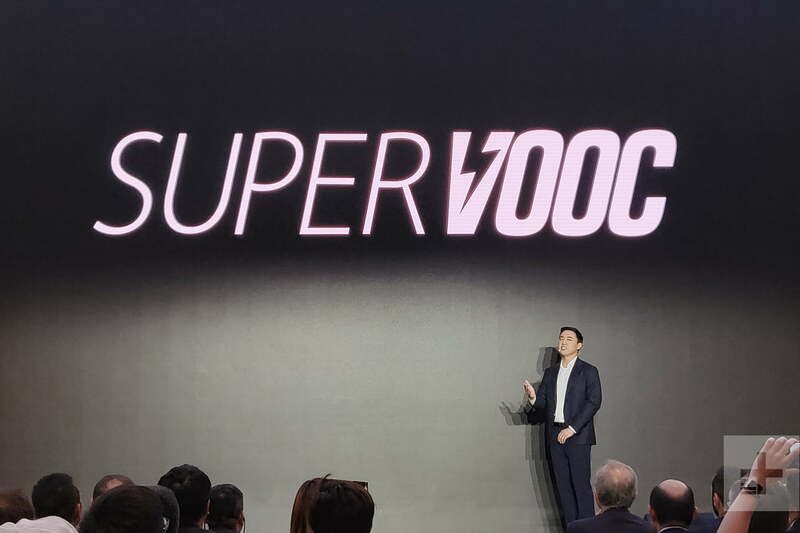 Super VOOC was so problem-free that Oppo could turn its attention to the eye-catching motorized camera and its AI-enhanced capabilities ahead of time. It’s a relief to hear we’re highly unlikely to be denied Super VOOC because of last minute problems, or that it was a cruel joke played on those who eternally forget to charge their phones up. Yes, the Lamborghini phone is expensive; but like Porsche Design’s approach with Huawei, we imagine Lamborghini wanted to keep a headline speed-related feature all to itself. We’ve been promised a chance to try out Super VOOC for ourselves soon, to clear any remaining doubt away forever. Super VOOC’s debut may be in an expensive special edition, but it’ll almost certainly be a part of other Oppo phones in the future, and the Find X is the company’s big push out into the world (though not the U.S. yet). The motorized camera is the Find X’s look-at-me feature, but it’s Super VOOC — unique and genuinely useful — that will become Oppo’s international calling card.